Magid says that for Sarawakian plantation players, the use of drones would also be helpful as cost effective as planters could use them to fly over plants to see if the plants are healthy enough to harvest – cancelling out the need for labour to manually check. KUCHING: The pursuit for less manual labour dependent agriculture sector has been widely discussed for several years now and as such, IBM Venture Capital Group (IBM) believes that the usage of technology can help elevate this on-going problem. It highlighted that the cost of implementing technology into the agriculture sector is not the biggest barrier. In fact, it pointed that some of the major challenges in implementing technology in the agriculture sector include the lack of awareness and accessibility of agriculture technology for agriculture players in rural areas. The heavy reliance labour has caused major concern over the sustainability of our agriculture industry with local players reporting heavy losses of millions from unplucked fresh fruit bunches (FFBs) annually. 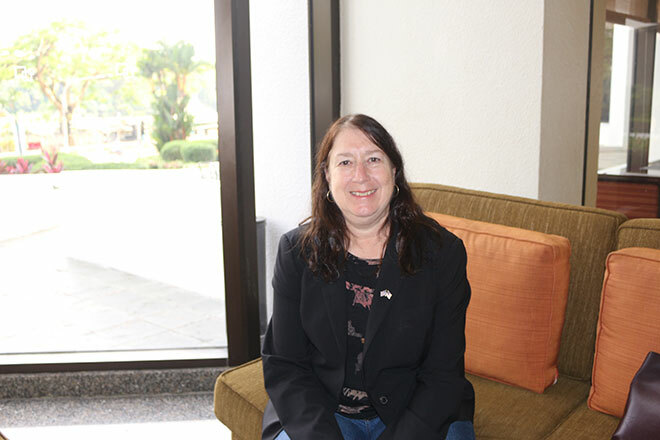 Sharing her thoughts on the topic in an interview with The Borneo Post, IBM Software Strategy director Deborah Magid said, “The market here (Sarawak) is interesting, because you have certain industries where technology is helpful. “For example, you have a big agriculture industry in Sarawak and there are new technologies that are useful in farming, harvesting and supply chain for food. When asked what would be most relevant solutions to our agriculture market, Magid shared that sensor technology would be extremely helpful to the industry on the whole as it could yield valuable information such as soil conditions and then transmit that information to farmers. “You can use sensors for trucks or trains or ships to make sure that food is being stored correctly by making sure the temperatures are optimal and also that shipment doesn’t last too long. There are a lot of ways where industries like that too could be helped with technology,” she added. For the plantation sector specifically, Magid also mentioned that the use of drones would also be helpful as cost effective as planters could use them to fly over plants to see if the plants are healthy enough to harvest – cancelling out the need for labour to manually check. Building on this, she explains that she does acknowledge that these solutions would require capital to first invest in but believes that the investment would be quickly recouped from increases in crop yields. “The increase in crop yield can be really significant. There is a company in Indonesia that uses this kind of technology, you know analysing information form sensors, to increase crop yields from rice and they’ve increase yields by 30 per cent.